Belief in God occurs when we suppress the analytical part of our brain and engage the empathic network, but when we focus on the physical world we use the brain network used for analytical thinking, a team of researchers found. They also pointed out that nearly 90% of Nobel laureates in the 20th century were also religious – being both scientific and religious or spiritual is possible and very common. Tony Jack, an associate professor of philosophy at Case Western Reserve, and colleagues explained in the journal PLoS ONE (citation below) that the conflict between religion and science probably has its origins in the structure of the human brain. There have long been clashes between the use of scientific evidence versus faith to explain the world around us. Perhaps the most visible example of this clash today are the arguments between creationism and evolution. To believe in a universal spirit or supernatural God, humans appear to suppress the brain network used for analytical thinking and boost the empathic network, the authors say. When we think analytically about the physical world, we appear to do the opposite. Joseph Priestley (1733–1804), an English non-trinitarianism clergyman and chemist who wrote the controversial work History of the Corruptions of Christianity. He is credited with discovering oxygen. He also invented soda water. After carrying out a series of eight experiments, Prof. Jack and colleagues found that the more empathic people are, the more likely they are religious. The authors say that finding may offer a new explanation for past studies that showed that women are more religious or spiritual than men – women have a stronger tendency towards empathic concern than their male counterparts. The team found that atheists are more closely aligned with psychopaths – not killers, but the vast majority of psychopaths diagnosed as such – because of their lack of empathy for others. Apart from Professors Jack and Boyatzis, the other authors of this paper were Scott Taylor, assistant professor of organizational behavior at Babson College, and Jared Friedman, a research assistant and recent graduate in Philosophy and Cognitive Science. The study is based on the hypothesis that our brain has two opposing domains in constant tension. In previous research, Prof. Jack’s Brain, Mind & Consciousness lab used fMRI (functional magnetic resonance imaging) to show that the human brain has an analytical network of neurons that enable us to think critically, as well as a social network which gives us empathy. When we are faced with an ethical dilemma or physical problem, our brains (if they are healthy) fire up the appropriate network while suppressing the other. The researchers carried out eight different experiments, each involving between 159 and 527 adults. Their aim was to examine the relationship between belief in a universal spirit or God with measures of moral concern and analytical thinking. They found that consistently through all the eight experiments, the more religious the person, the more moral concern they showed. However, they did not establish any cause and effect. The researchers found that both empathic concern and spiritual belief were positively associated with how often a person prayed, meditated or engaged in other religious or spiritual practices – but neither were predicted by church dinners or other social contact linked to religious affiliation. Some researchers theorize that mentalizing – interpreting human behaviour in terms of intentional mental states such as purposes, needs or desires – has a positive association with belief. In this study the researchers found no such association. As in other studies, the eight experiments showed that analytical thinking discourages acceptance of religious or spiritual beliefs. However, the statistical analysis of data gathered and analysed from all eight experiments suggests that empathy is more important for religious belief than analytic thinking is for disbelief. So, why can the conflict between religion and science become so strong? We are built to engage and explore using both networks, the authors wrote. 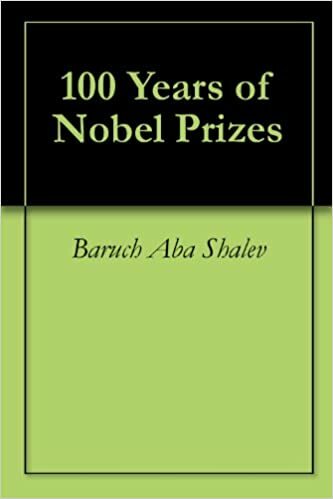 The authors refer to the book 100 Years of Nobel Prizes, written by Baruch Aba Shalev, which found that of the 654 Nobel laureates from 1901 to 2000, almost 90% belonged to one of twenty-eight religions. The remaining 10.5% were either freethinkers, agnostics or atheists. It is possible to be religious and a very good scientist, Prof. Jack explained. In fact, religious eminent scientists are the norm. The authors agree with the New Atheists that suspension of analytical thinking – at the wrong moment – can be dangerous, and point to how religious differences have led to wars and persecutions throughout history. Prof. Jack and colleagues suggest, however, that taking a carefully considered leap of religious faith appears to be an effective route for boosting emotional insight. This study, like previous ones, found that overall, religious belief is linked to greater compassion, more social inclusiveness, and greater motivation to engage in pro-social actions. The researchers plan to find out whether people who increase their empathy then become more spiritual or religious, or whether it is the other way round. Citation: “Why Do You Believe in God? Relationships between Religious Belief, Analytic Thinking, Mentalizing and Moral Concern,” Anthony Ian Jack, Richard Eleftherios Boyatzis, Jared Parker Friedman and Scott Nolan Taylor. PLoS ONE 11(3): e0149989. 23 March 2016. DOI: 10.1371/journal.pone.0149989. People suffering different levels of ‘brain fog‘ may find that their interpretation of science and religion fluctuates. A person is suffering from brain fog if their memory is weaker and they are mentally tired. In this Keele University video, Tom McLeish is joined by Coel Hellier, Professor of Astrophysics at Keele University. These eminent physicists, one a Christian, the other an atheist, launch a conversation where faith meets science.